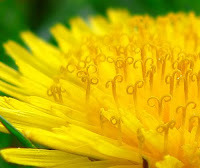 Dandelions are really beautiful, especially when clutched in a toddler's chubby fist. Thirteen year old boys can out-eat just about anything. The house is quiet when they're not here. I don't always like that. Please don't mention that to them. Not yet. What a fantastically tasteless Jesus pix. Possibly your best.